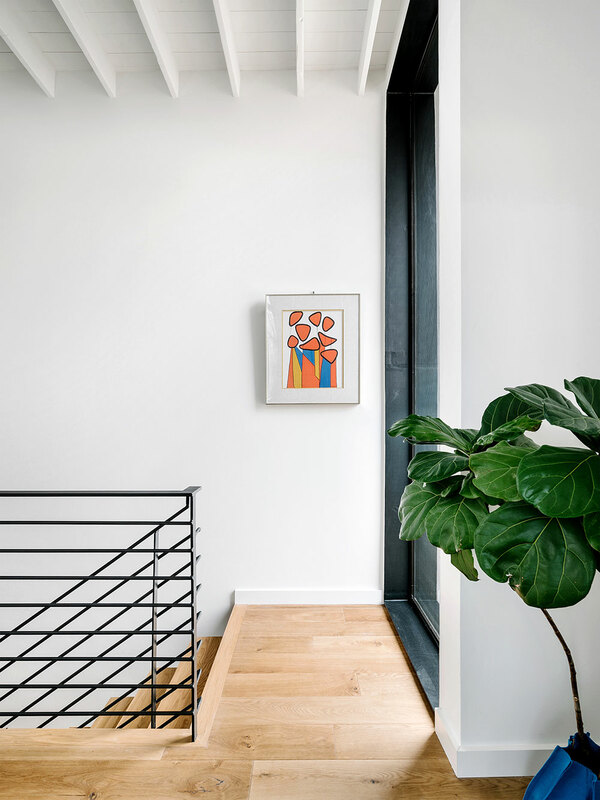 This home is a sculptural Modern style designed by the Michael Hsu Office of Architecture and built by Abode Modern Homes. 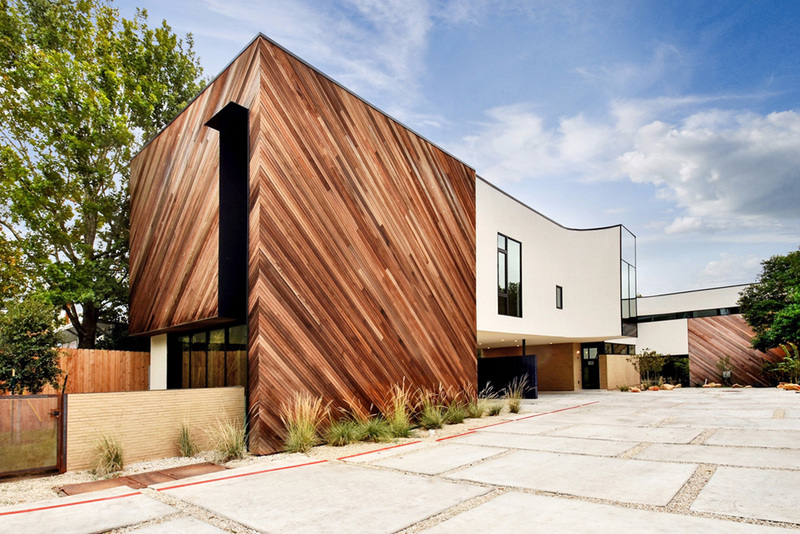 Forms and patterns were used to embody the spirit of South Austin. Floor to ceiling custom steel windows were fashioned on site. 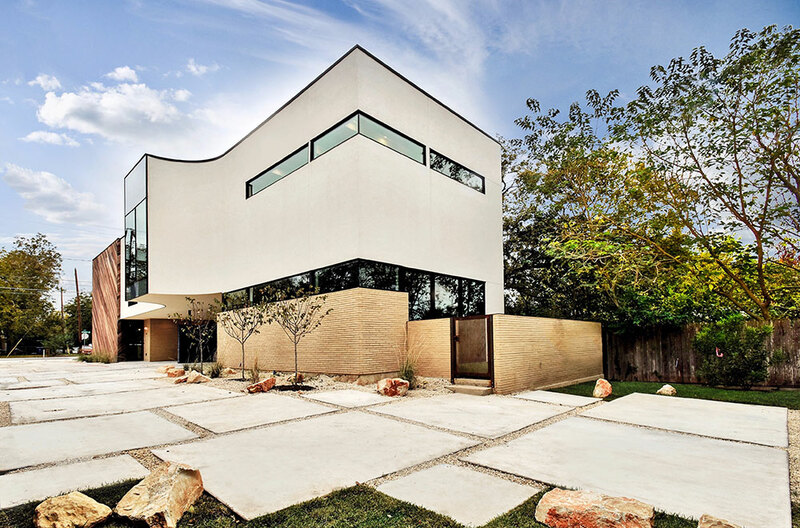 A 20 foot slider opens up the West wall to a grassy private courtyard. There are clerestory Western windows and skylights that bring in an abundance of natural light. Honed marble counter tops wrap around to the floor in the kitchen and extend from the sink counter into the shower in the master bathroom. Custom steel shelves and stove hood, as well as Austin made leather cabinet pulls were crafted just for the Bluebonnet Townhomes. Austin has many residential towers downtown with 100 to 300 Units and hundreds of single family homes built near by. 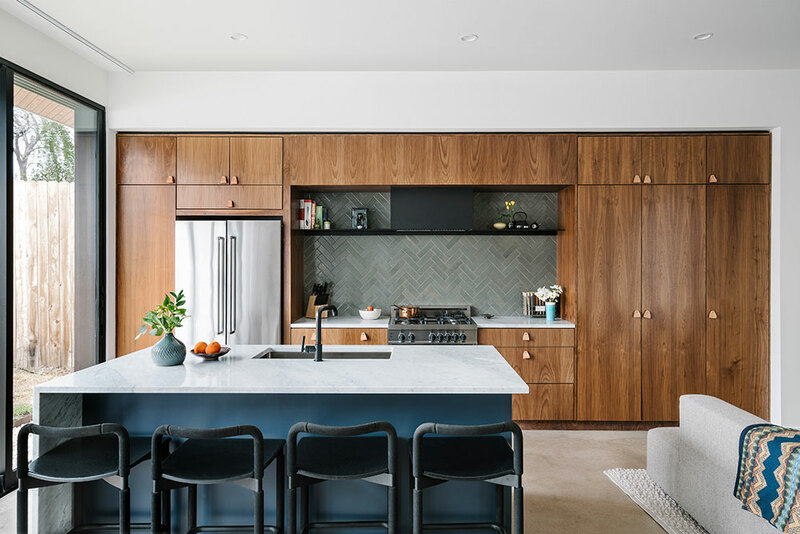 These 5 Townhome condos provide a solution to what some call the Missing Middle – small and mid-sized multi-family residential buildings the city is largely lacking. 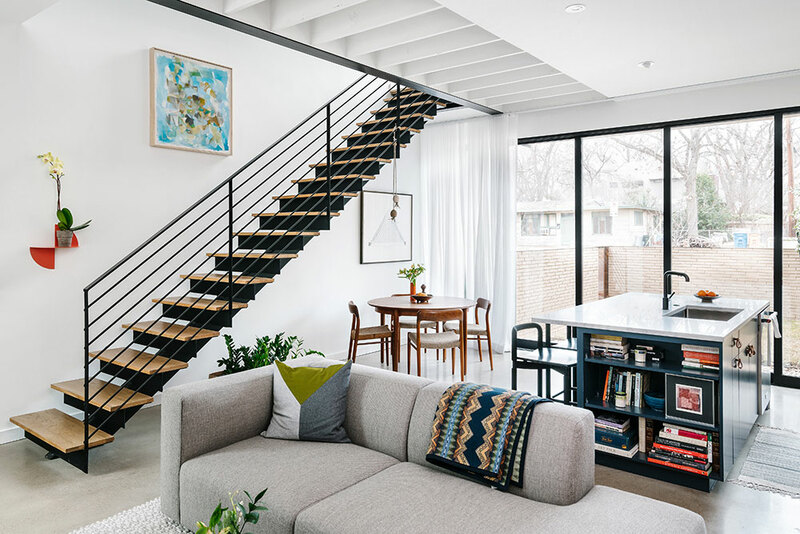 The Bluebonnet project offers refined housing within a common property in the tree lined single family home area of the Zilker neighborhood.